First is Nars Sheer Glow Foundation. I have mentioned this countless times and I adore this. It’s one of those “is she wearing foundation or isn’t she” kind of finishes with just one pump being enough to give the coverage and even skin tone that I look for. Long-lasting, easy to blend and a perfect colour match….the ideal ingredients for a base. Next up is my under-eye concealer. Dark circles are the bane of my life and probably for a lot of other people too and finding the right under-eye concealer is a hard task. I find that anything with a strong peach undertone counteracts my dark circles but finding a formula that isn’t too heavy is important too. 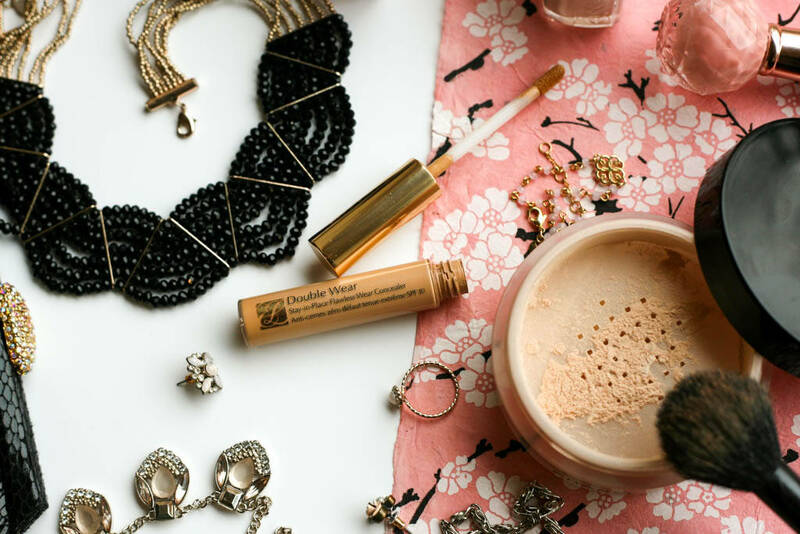 I’ve tried the Bobbi Brown correctors which are also very good but for the past two years I’ve stuck to my Estee Lauder Double Wear Stay in Place Flawless Wear Concealer, which provides just the right amount of coverage. This concealer does not cake and the doe-foot applicator means I can easily control how much of this I use. 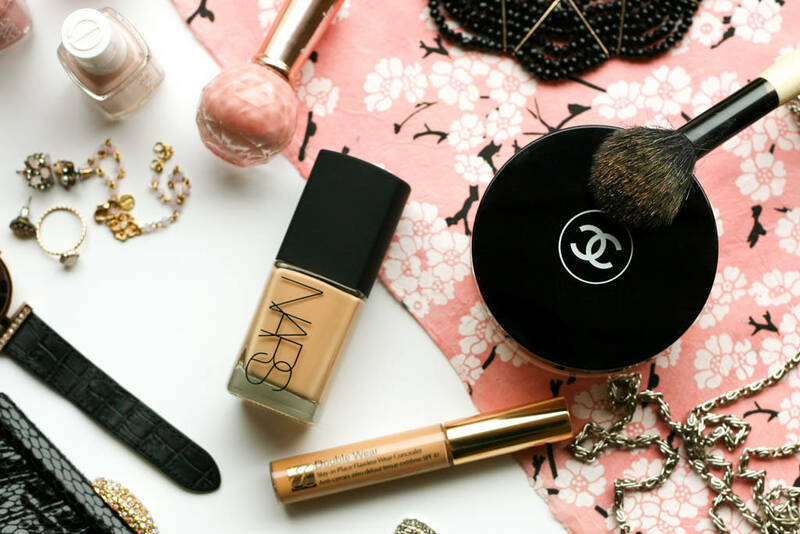 I use the colour warm medium which works wonderfully with my foundation. 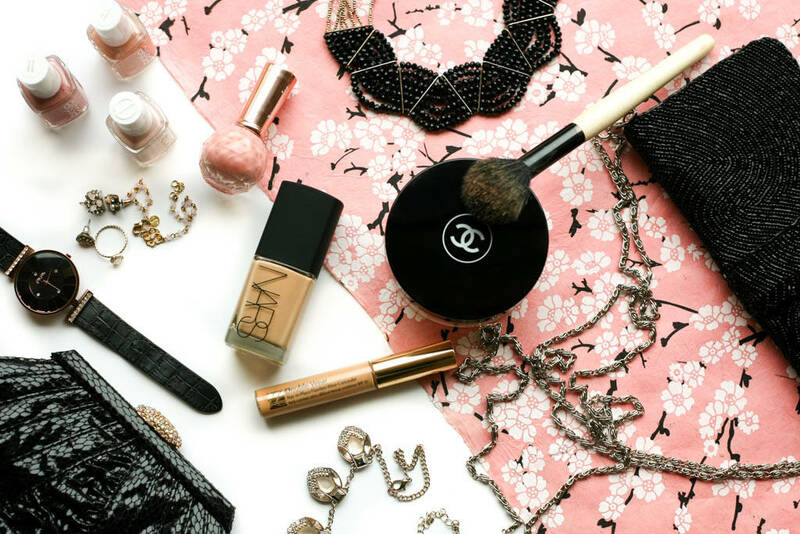 For that finishing touch I always wear powder and my preference is a translucent loose powder. 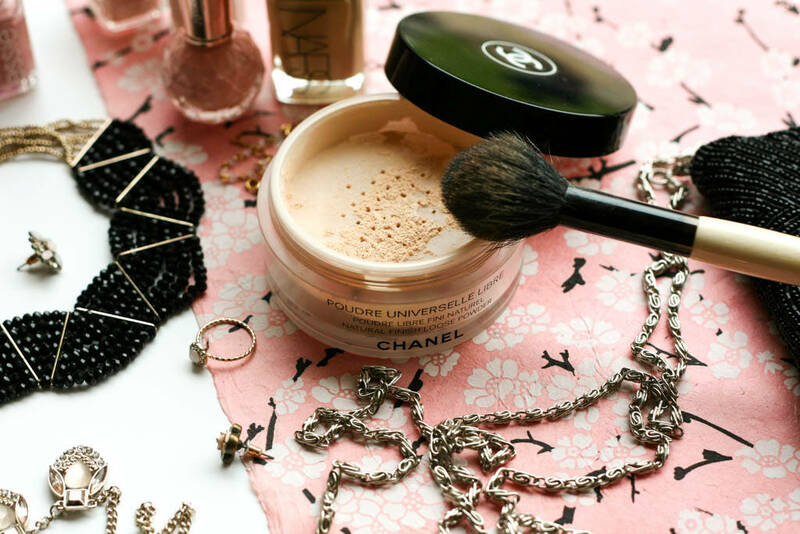 Loose powders are difficult and a tad messy to carry on the go but with the Chanel Poudre Universelle Libre Natural Finish Pressed Powder I find I don’t need to worry about this as a light swirl of this magical powder in the morning and I’m set for the day. The tub, as you can see, is huge and lasts for an eternity. I have the compact version of this too (see my post here), but on a daily basis it is this loose powder version that I go for.